Posted November 5, 2014 by Dr. William Myers & filed under General Dental Articles. Taking antibiotics prior to a visit to your Warsaw dentist used to be a common practice if you had a heart condition or received a joint replacement; however, this may no longer be the case. Recent research has shown that the use of too many antibiotics could actually outweigh the benefits, and using them as a precaution isn’t doing much good. 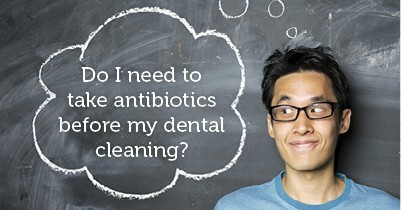 However, while using antibiotics as a precaution against infection during dental treatment isn’t common anymore, there are still some individuals who should take antibiotics before visiting their dentist in Warsaw. Those with artificial heart valves, a history of infective endocarditis, certain congentital heart conditions, or a cardiac transplant that has developed a heart valve problem are some of the patients the American Heart Association recommends the use of precautionary antibiotics. A healthy at-home oral hygiene routine and keeping up with regular visits to my dental office in Warsaw will go a long way to preventing infection. This duo of oral health care helps keep bacteria levels to a minimum and decreases the risk of more advanced dental treatments. Serving patients in Warsaw, Winona Lake, and Leesburg.